It was surprising, validating . . . and, of course, exhausting. But it was an amazing adventure! The best part was that I met so many Dark Shadows fans who had never been to the festivals, and that was an unexpected gift. Also, everywhere I went I was welcomed by old friends and recognizable faces. Each stop was like time capsule, unique and completely different from the last: a different city, a different landscape, a different crowd, a different bed to sleep in that night. I drove up the California coast, flew on six different airplanes, and rode the train four times. I stayed with family; I stayed with friends. I also stayed with complete strangers. It was fifty degrees in misty Portland which was so lush and green I thought I was in Ireland. It was ninety degrees in humid Orlando where Spanish moss hung from the trees. And it rained on all those outlandish Dragon-con costumes in Atlanta until they melted into wet crepe paper blobs. I was afraid every time that I wouldn’t find the bookstore. Did I have the right address in San Francisco? Where in the world was Tigard, Oregon? Would the bookstore owners remember I was coming? At each stop I was terrified that no one would show up and that I would be greeted by rows and rows of empty seats. But I shouldn’t have worried. I ended up sitting for hours signing books and chatting with wonderful people. 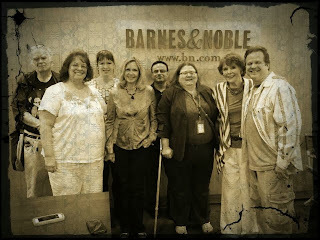 The crowd at each bookstore was so enthusiastic, and so eager to share Dark Shadows memories. I was reminded once again how many loyal fans there are out there and how the show still means so much to so many people even after all these years. Hoping to tempt more people to buy my book, I tried to read the Prologue from WOLF MOON RISING, but sadly, the microphone kept fading in and out. It was distracting, to say the least, reading Gothic horror and trying to hold the attention of a restless audience with the sound fading, then blaring. So I put the mike down, and we all talked about Dark Shadows, which was what everyone wanted to do anyway. There were some challenging questions: "What do you think is the reason for the popularity of vampires in today’s culture?” Hmmm.m.m.m. . .
My family were all there, my two sons, Rick Parker and Andy Parker, and their lovely wives, Miranda and Celia, and even my five-year-old grandson, Wesley, looking very grown up in a new jacket. Kathryn Leigh Scott came, even though she was nursing a sore throat, and there are some great shots of us both on Getty Images. Roger Davis and Donna came as well, a great surprise for the fans. I was in the middle of my reading when the microphone stopped working, but it didn’t matter. I was so delighted to have such a warm and receptive crowd. 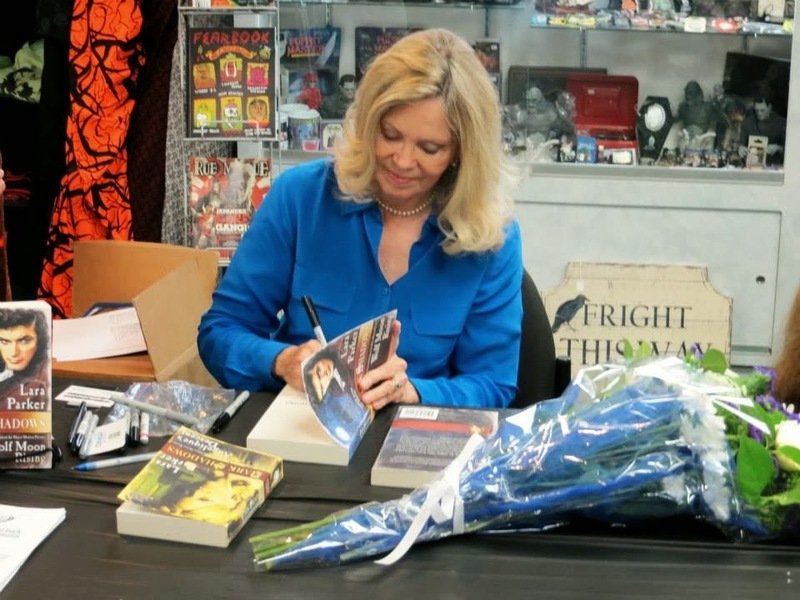 The next day, my husband Jim and I drove to San Diego, where I had fewer people, but I read a whole uninterrupted chapter from my book and signed a stack of phone orders. I’d brought a bottle of wine and crackers and cheese, so we had a party. What a lovely bookstore Mysterious Galaxy is! And the people working there couldn’t have been sweeter. Then we were off to San Francisco the next day, driving through traffic, searching the Mission district for Borderlands. At first the owner, Alan Beatts, had not wanted to book me because they have a policy against TV-tie ins, but when he heard it was Dark Shadows, happily, he changed his mind. Now I hoped he would remember I was coming. The staff greeted me warmly with a cappuccino from their lovely cafe. My friend, David-Elijah Nahmod, had written a great piece for the SF Weekly, and that brought in quite a few readers. 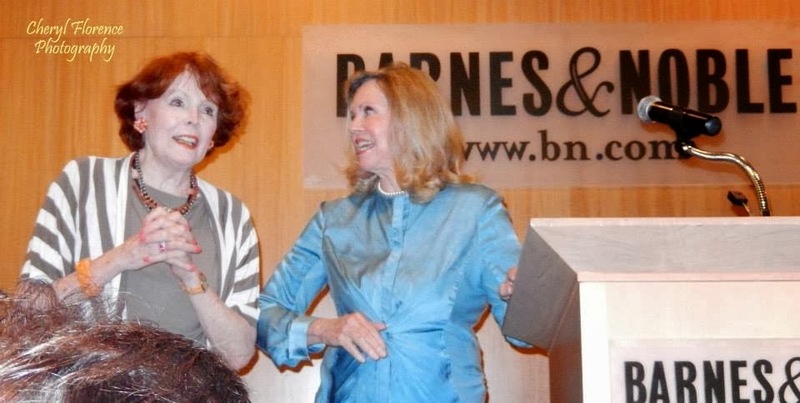 And best of all, my mentor from Antioch, well known San Francisco writer Dodie Bellamy was there with her husband Kevin Killian, adding some literary caché to the crowd that had grown considerably by 7:00 PM. We spent the night with my daughter-in-law’s aunt and uncle, Joanie and Stephen Byrne in their beautiful apartment. Before taking off for Portland the next morning, we all watched the America’s Cup boats practicing on the bay—amazing yachts, not really boats at all, but closer to enormous airplanes with rigid sails like wings. The 72 foot long contraptions rise up out of the water on two tiny keels, Fantastic! The drive to Portland was long, but we passed through some of the most beautiful redwood forests I have ever seen, especially between Crescent City and Grant’s Pass. When I get to heaven, I don’t want streets of gold; I want old growth forests with towering trees for my paradise. My aunt, Ardeane Heiskell Smith, who is a sprightly 92 years of age, lives in Salem, Oregan, and she and her husband Warren (a young 89), welcomed me with open arms. Jim and I visited with them for 45 minutes before jumping back in the car and heading for Portland, and another Barnes & Noble in Tigard. I expected a small crowd in such an out-of-the-way spot, but I was wrong. The room was packed! There are Dark Shadows fans everywhere wanting to say hello! Next stop: Atlanta, and four days at Dragon-con! The festival was spread out over four downtown hotels, and boasted a crowd of 62,000 eager participants! 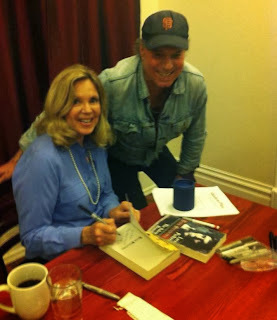 I’d been living out of a suitcase for a week now, and my clothes were looking rumpled, but Kathryn Leigh Scott and I manned our tables for long hours alongside Lindsay Wagner and Lee Majors (who, admittedly, didn’t put in the time we did). As the room filled up with thousands of people, Kathryn and I witnessed a phenomenal parade of costumed con-goers from every imaginable TV show, movie, graphic novel or comic book. Most of them I didn’t recognize, but I grew quite fond of Steam Punk, a bizarre confection of leather, goggles, rusted metal corsets, and tubes! And whatever you do, don’t get caught in a crowded elevator with a zombie! Our good friend and faithful fan, Scott Farris, whose birthday bash Kathryn and I attended last year, took care of us, lugging books and pictures and arranging a special dinner in town for an amazing group of followers including Wallace McBride who has been a great help publicizing the tour and keeping my Facebook page up to date. I also had a quick morning visit in Atlanta with my good friend, John Farris, author extraordinaire, who has written over forty novels in the paranormal and Southern Gothic genres, and whose generous quote graces the front of my new book. I arrived in Orlando exhausted, but I was met by the president of the Central Florida Dark Shadows Fan Club, Patrick McCann. The next day, members of the fan club, all wearing their tee shirts depicting Barnabas in true Florida garb--a mask, flippers, and snorkel--took me to dinner. I was wined and dined and given lovely presents, all unexpected, and the entire club turned out to meet me. 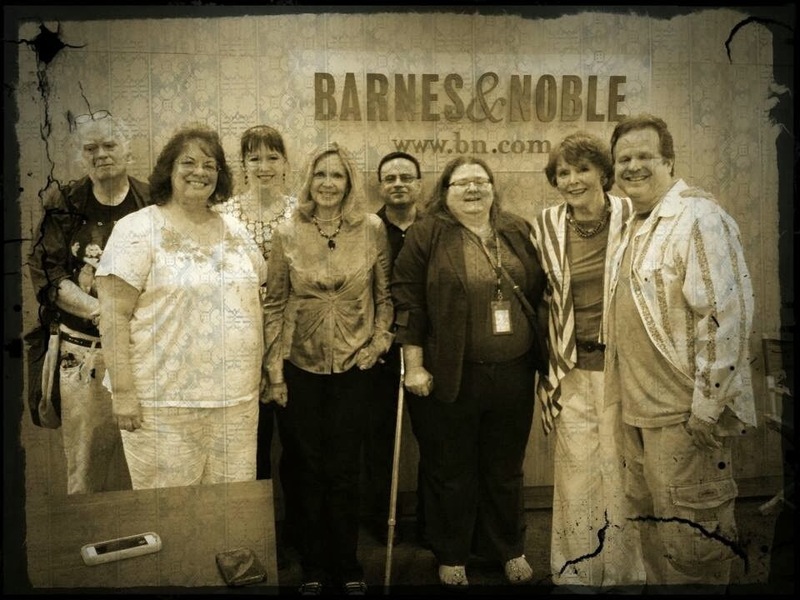 They gather once a month to watch and discuss episodes of Dark Shadows, and they’ve been a going club for decades! I was also delighted that old high school friends Sandra and Wesley Gibbs drove all the way from the coast to say hello. What a beautiful surprise! Memphis, my hometown, brought sweet memories. Not much has changed and driving past all the places where I grew up was a bittersweet pleasure. I was chauffeured by John Beifuss who is the movie critic for the Commercial Appeal, and who wrote a very kind blurb on the back of WOLF MOON RISING. My oldest friend, Jo Potter, came to the reading. I’ve known her for so long! She was my maid of honor, and I even remember making her wedding dress! The next morning, before I left for New York, I had a guest interview on Live at 9 with Marybeth Conley and Alex Coleman on WREG-TV. The interview was at 9:30 and my flight was at 11:00! I did the interview then raced to the airport terrified I would miss my plane. I had been In Memphis less than 48 hours! And I'd been talking about Dark Shadows non-stop for two weeks! Jim met me at LaGuardia—amazing that we found each other!---but he was terribly sick with a cold. We grabbed a taxi to Penn Station where, dashing for the track, we caught the train to Hudson, NY, where my daughter lives. Exhausted from traveling all day, we stared out the window in a tired daze at the Hudson river reflecting the last of the light. 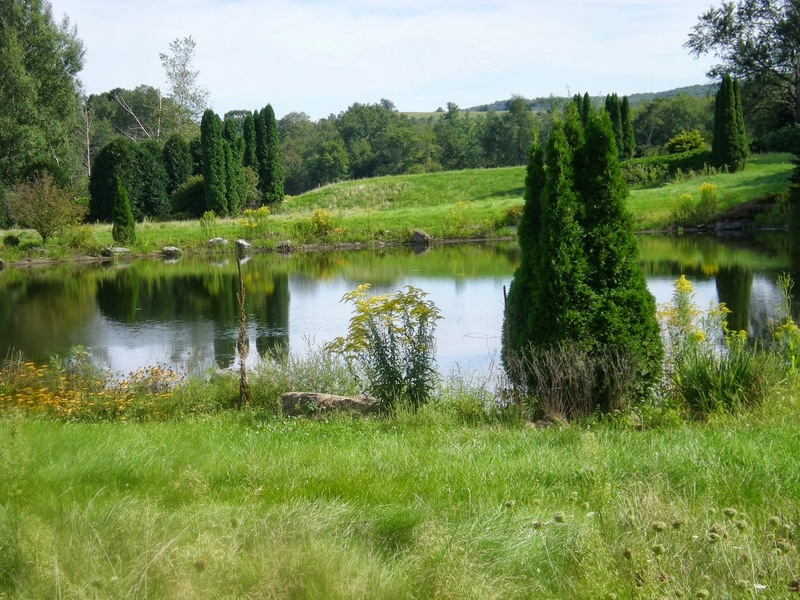 Caiti lives in a tiny 1830’s farmhouse on 150 acres of rolling hills, streams, ponds, and woodlands. I was not prepared for the beauty of the place. I was able to catch my breath for a day or two, and visit farmers’ markets and antique stores in a few of the charming towns of the area. Perhaps I should change my idea of heaven to the Hudson River Valley. Caiti works for the artist, Dan Colen, as a chef on his farm, and they invited us to lunch. His house is filled with paintings. She has planted a huge garden to harvest for free food banks. Finally, the most exciting of them all: New York! Monday morning I was on the train early on my way to the city. I grabbed a taxi for the Iroquois Hotel where a TV station was hidden behind the lobby. There I filmed an appearance on the New York TV show, PROFILES with Mickey Burns. I was breathless, and a little too excited, but I managed to get through it. The director’s wife and the cameraman? 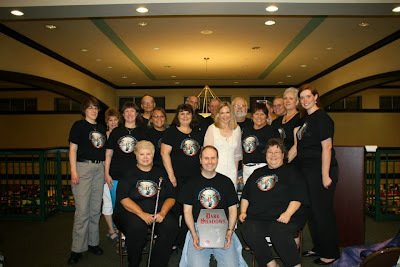 Once again, they were both Dark Shadows fans! The PROFILES episode will be kicking off their Fall Season on Friday, October 18th at 10:30 PM and Monday, October 21st at 12:30 PM. Visit VOD Page for other PROFILES Interviews. After the interview my publicist, Aisha Cloud, took me up to the TOR offices in the Flatiron Building where I met my darling editor, Stacy Hill, and we all went to lunch. 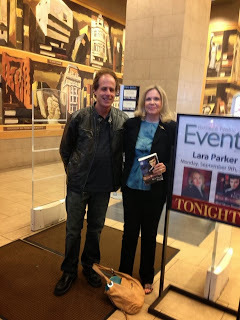 I was so excited about the book signing that night I could barely eat. I arrived at the bookstore only to be greeted by a flashing marquee with my picture! The people at Barnes & Noble were very good to me everywhere I went, and, guess what? There was standing room only, and the store was completely sold out of books! I am amazed by the following Dark Shadows still has, and humbled by the part I play in it all. 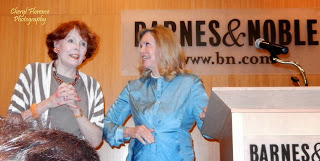 My fellow Dark Shadows actress, Marie Wallace, showed up and shared the stage to the delight of the audience who had not expected to see her as well. I felt right at home with good friends there to support me. Lee Rosenbloom came all the way from Detroit! My great friend, Marlene Ascherman was in the crowd along with my godson, Vaj Potenza! Afterwards, Vaj’s dad, Bart Potenza, hosted us all to an amazing dinner at his elegant vegan restaurant, Candle 79. (www.candle79.com) Seven courses of utterly delicious food, all of it vegan. Anyone who lives in New York should make a special effort to treat themselves there, and I’ll be sure to go back next time I’m in the city. The last stop for your weary traveler was Dark Delicacies in Burbank California. The crowd was small but interesting and a lovely piece in the LA Times by Susan King brought in curious readers and a stack of phone orders. The ever faithful Marcy Robin was there to provide moral support, along with Debbie Andrus and Gwynne Garfinkle. Nothing can ever take the place of good friends, and I am blessed. I’m relieved that it is over, but I’m sad as well. Would I do it all again? Absolutely. I discovered, to my amazement, that our TV show is still well-remembered and well-loved across the country. And here comes the cruise! We’re all going to sea! As you can tell, Dark Shadows is in my blood! I am very happy for you the tour was a huge success; all of us fans knew it would be ! Out of ten stars I give Wolf Moon Rising.... 1000. The book is FANTASTIC; I am nearing the end and wish it had 50 more chapters to go. Can we hope for number 4 ?? !!! Have all three books and love them! Hope you are having an amazing birthday! 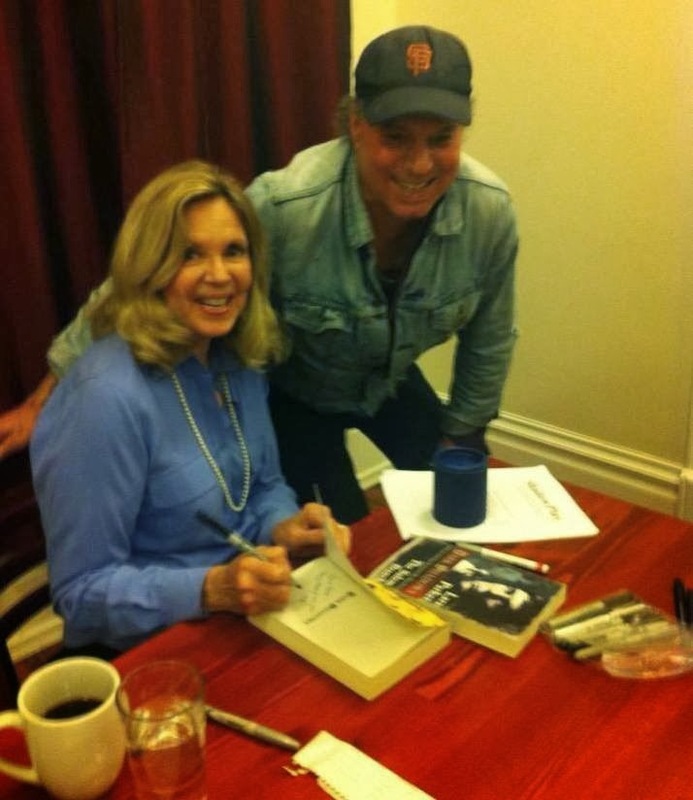 Looking forward to seeing you again in Tarrytown. I have convinced a friend who just has to be your greatest fan to come along. He can hardly wait to meet you. Again, happy birthday, lovely lady! I saw one of your movies, Desperate Voyage, and remember enjoying it. But it seems to be lost to history; neither Amazon nor Netflix has any interesting in obtaining it. Anyway, glad to hear about your book success. Looking forward to the next one. What color are your eyes? Some websites say blue and some say green.